Whether you’re an insatiable foodie, a lover of the arts or an irrepressible daredevil, Singapore’s endless possibilities are certain to fuel the fires of your passion. Singapore is among the most popular and dynamic destinations in Asia. There are many places to visit in Singapore that will leave you truly impressed. The beautiful green gardens and clean streets, as well as the interesting diversity in the culture, have attracted tourists from all over the world. Singapore tourism is constantly growing. Singapore is known for being a very safe and efficient city, thanks to the strictly enforced laws. While some actions may not be considered a problem in your home country, they can be illegal in Singapore. To avoid any hassle and enjoy your visit to the lovely Singapore without any unwanted fines or even jail time, check out the following list before you travel. Try to be as conservative as you can to respect the locals. 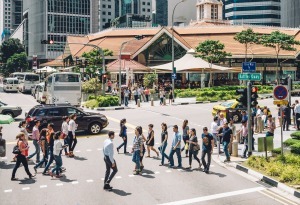 Avoid talking about religion or politics in order not to offend anyone, as Singaporeans are a mix of Christians, Buddhists, Hindus, Muslims, and Taos. In Singapore, it is considered common courtesy to ask for permission before taking pictures of people, mosques, or temples, as well as removing your shoes when entering a residence. Tipping is considered disrespectful in Singapore so try to avoid it. In most public places in Singapore, smoking is illegal. Don’t try to smoke or drop a cigarette in public buses, lifts, taxis, cinemas, theatres, or any air-conditioned government offices, restaurants, and shopping centres. The police enforce this law very strictly and hand out immediate fines up to S$1000. Singapore’s MRT (Mass Rapid Transit) system is the fastest and most efficient way to move around during your stay. So, take the time to learn the network’s routes and you can download related Apps on your device to help you out. Most of Singapore’s key attractions are within walking distance from an MRT station. The bus network is also quite convenient, as well as very scenic, and covers a wide variety of destinations. On the other hand, Taxis can be expensive and you don’t really need them with the state-of-the-art MRT system available. Chewing gum is banned in Singapore so it is recommended to leave it at home when packing your bags. Chewing it or even carrying it in Singapore will cost you a fine up to S$1000 for first offenders. Police take cleanliness seriously in Singapore. 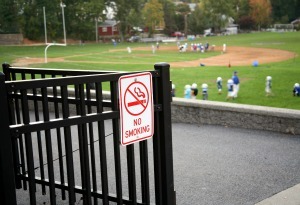 While something as insignificant as gum may seem trivial to most of us, this law came to be after the government suffered many maintenance problems in high-rise housing flats and in public places (e.g., gum stuck under seats, in elevators, and on pavements), which led to time-consuming and costly measures to clean them. When addressing someone in Singapore, it is recommended to use the titles of Mr., Mrs., or Miss. We recommend that you only use first names when you’re invited to. Jaywalking refers to reckless or illegal crossing of pedestrians on roads and is a term that is widely used in a lot of countries. In Singapore, make sure you look for pedestrian lanes and specified areas to cross the streets to avoid any accidents or fines. Singapore is filled with vending machines to get snacks, food, beverages, self-laundry, and tickets. Coins and cash in general will be handy during your travels and try not to rely on ATMs too much. Singapore is known for being impeccably clean. Littering the street with small items can cost you a fine of S$300 for first offenders, but throwing anything large like cans or bottles can land you in court. The punishment involves a Corrective Work Order (CWO), in which offenders clean up a specified area wearing a bright green vest. Why the hassle? Just don’t litter, it’s a good thing to get used to.